As part of a ceremony earlier this week, the Vatican Library announced a five-year partnership with the University of Notre Dame to provide access to books and manuscripts currently housed at the Vatican Library to the university’s students and scholars. More than mere access, however, the partnership will include jointly presented conferences, the development of joint research programs, opportunities for open communication between the two institutions’ personnel, and a series of lectures, art exhibits, and music and theater performances. The announcement kicks off a 15-day exhibition of materials from the Vatican Library on Notre Dame’s campus, which includes Galileo’s 1610 astronomical treatise, “Sidereus Nuncius.” Notre Dame was considered one of the best ways to connect with an American audience and attract more scholars to use the Vatican Library. This is the only agreement of its kind with a North American institution. However, it is not the first time that the Vatican has partnered with institutions of higher learning in an effort to expand scholarship. In 2012, the Vatican Library entered into a partnership with Oxford University to digitize 1.5 million pages of texts dating back to the Middle Ages in an effort to make them more widely available to scholars worldwide. That particular project, funded by the UK-based Polonsky Foundation, focused on three subject areas: Greek manuscripts, 15th-century printed books, and Hebrew manuscripts and printed books. 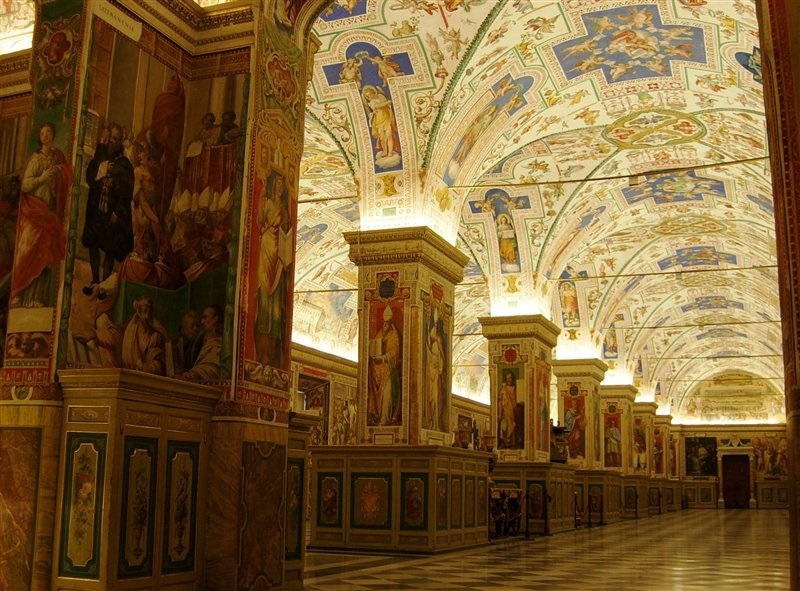 The Vatican Library embarked on a similar long-term project with a Japanese technology firm, NTT Data, in 2014. NTT Data provided the funding to continue digitizing manuscripts for the first, four-year phase of the project. Other sponsors are needed for the digitization project, called “DigitaVaticana,” to continue. The Vatican Library is home to more than 80,000 manuscripts. Currently, scholars wishing to reference those manuscripts must receive permission to access them in person and adhere to strict guidelines so as not to damage them. The entire digitization project is expected to take about 15 years and cost in excess of $63 million. Can A New App Fundamentally Change The Vatican?